A slice of DLC from both Battlefield 4 and Battlefield Hardline are currently free on Origin in the latest ‘On the House’ promotion. If you don’t like free stuff, you could buy and play one of the games in our list of PC’s best FPS. Of course this will only mean something to you if you own Battlefield 4 or Battlefield Hardline and you haven’t yet taken the plunge on the DLC, but you can currently grab Dragon’s Tooth and Robbery for the total of $0.00 – you could say it’s a steal, but I won’t… Oh no. Dragon’s Tooth for Battlefield 4 focuses on tight, infantry combat in urban environments, adding four more maps, one additional multiplayer mode, and a variety of weapons, gadgets, and assignments. Likewise, Hardline’s Robbery adds four new maps, four new weapons, two new gadgets, two new vehicles, and more – all with a focus on teamwork and taking home a big score. Grab them both at the respective links above. 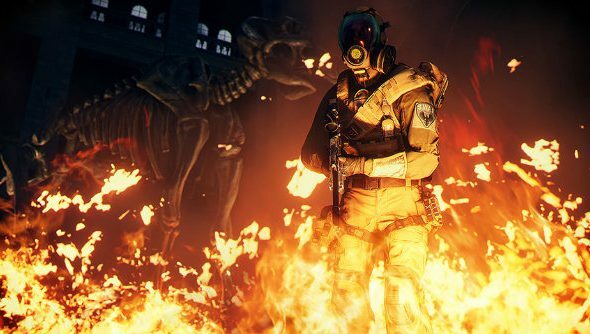 There are hefty discounts on both Battlefield 4 and Battlefield Hardline at the moment, so it might be worth picking them up even if you have just a passing interest. The timing on this deal is no coincidence, as there’s a big Battlefield reveal coming on May 6. Rumours have been pointing to a WW2 setting, but we don’t have to wait long to find out. I just hope it’s not more future warfare.